The Eureka Springs Historical Museum is celebrating history with the third annual Birthday Stroll from 5 p.m. to 8 p.m. Saturday, June 30. 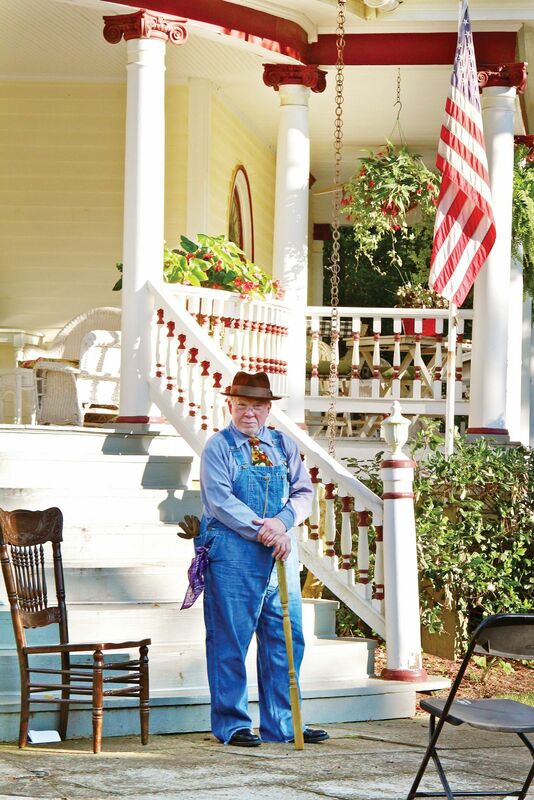 The event commemorates the establishment of Eureka Springs in 1879. Museum operations manager Stephanie Stodden said Eureka Springs was actually incorporated on Valentine’s Day, but the city celebrates that milestone on the Fourth of July every year. The Birthday Stroll is a way for visitors to take a walk through the town’s history, Stodden said, and there’s certainly plenty of that to go around. This year, the birthday stroll features live actors in period costumes portraying some early citizens of Eureka Springs who resided in the Mearns Park area (Fairmount, Magnolia, French and Tulip Streets). This includes early entrepreneur Hattie Russ, who owned Russ Cottage on Magnolia Street, and Dr. Charles Davis, who came to Eureka Springs in desperate need of a cure for his wife, Mina. After she was healed by the spring water, Davis opened his own practice to repay the blessing he received. Stodden said Davis’ story is her favorite from this year’s event. There’s a staircase leading to his house, Stodden said, and it’s tucked into Eureka’s hilly landscape. 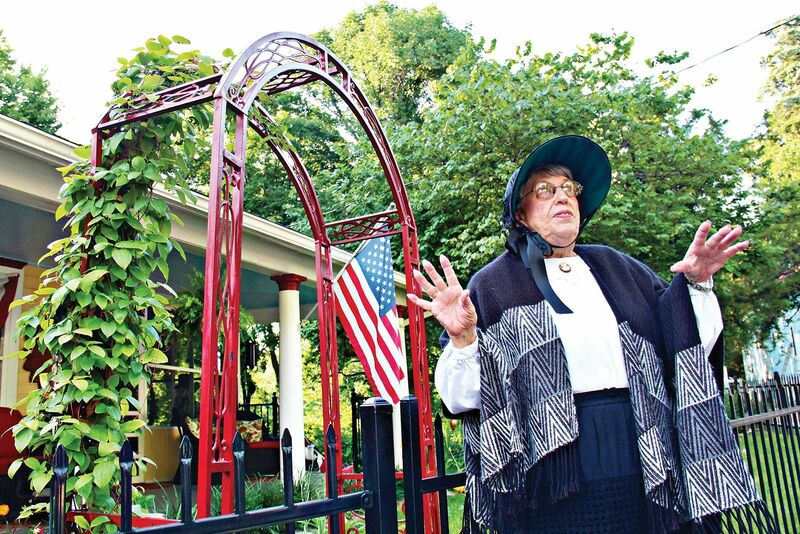 Eureka Springs Historical Society members blend their knowledge and passion for history with some discernible acting skill, to both inform and entertain patrons of the Birthday Stroll. 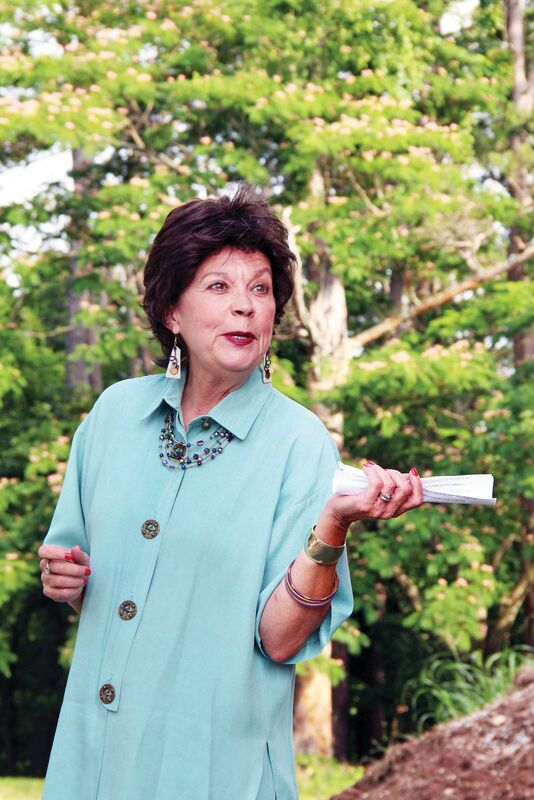 Davis’ daughter has a rich history in Eureka Springs, too. She’s especially excited to cover the Mearns Park area this year, Stodden said, because so many historical figures have lived there. 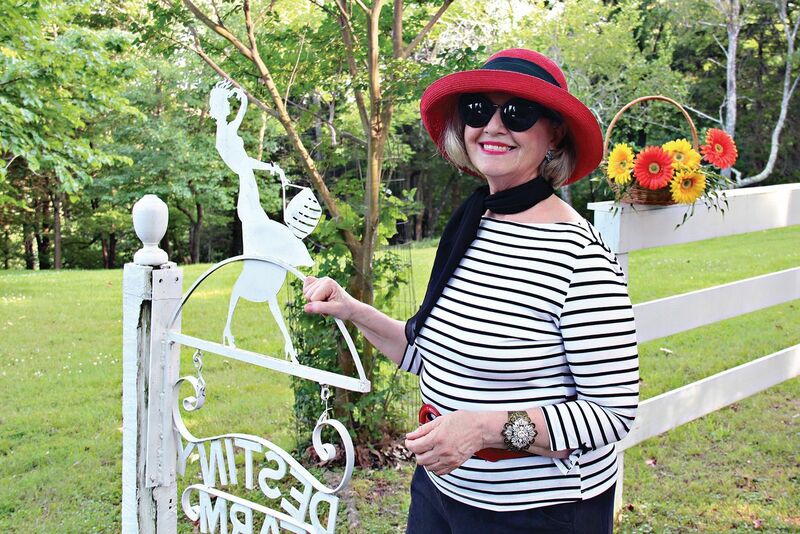 When people come to Eureka Springs, Stodden said, they are in awe. 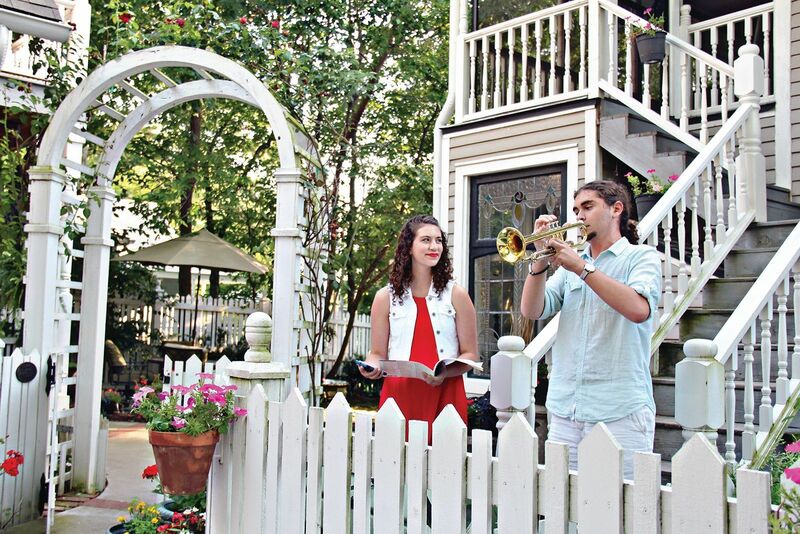 Stodden said she knows it’s hot outside, and that’s why the stroll is happening from 5 p.m. to 8 p.m.
During refreshments, trumpet player DJ Rassinier and vocalist Ashlynn Lockhart perform. “Then, it’s not quite so hot and you still have time to go see fireworks,” Stodden said. Tours leave the parking lot at the St. Elizabeth’s Catholic Church every 30 minutes and last one hour each. Tickets are $15 for adults and $5 for children 9 and under. That includes the stroll, with birthday cake and ice cream at the St. James Episcopal Church garden area once the stroll ends. Limited tickets will be available the day of the stroll, so plan to purchase in advance. Tickets will be available to purchase at the Eureka Springs Historical Museum at 95 S. Main St. or online starting June 11 at www.EurekaSpringsHistoricalMuseum.org. Call Stodden at 479-253-9417 for more details. The event benefits the historical museum, and Stodden said it’s sure to be entertaining. One-hour tours leaving every 30 minutes from Elizabeth’s Catholic Church: June 30, 5 to 8 p.m.
Bill Ott undoubtedly has fun with his role, evoking laughter from each group of visitors. Sue Darby plays the part of Karen Pryor, a vain and outspoken school teacher. Famous turn of the century Broadway dancer Irene Castle is portrayed by Alexa Pittenger.